A cast iron skillet makes this Upside Down Orange Cake super easy to whip together and caramelizes the Valencia orange slices, peel and all! I know, I know. 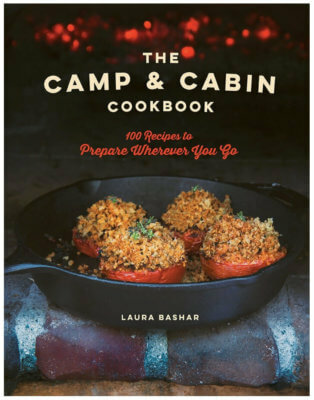 Isn’t it horrible of me to post a dessert recipe? Especially after professing about my own resolution to stay away from this stuff??? But, seriously, we had family visiting this weekend and not everyone is on a diet! I love taking advantage of sharing the calories with family and friends so I don’t stuff my face with my own baked goodies. 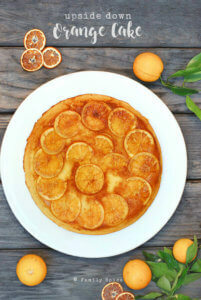 Especially when I make an Upside-Down Orange Cake! I admit that I have a weakness for desserts, especially cakes and cookies. YUM! I totally go ga-ga for fruity desserts (although chocolate isn’t too far behind). I am still plowing through my endless supply of Valencia oranges, and knew an Upside-Down Orange Cake was needed to share for a family party. This cake is really, REALLY simple. It’s easy to mix together and assemble. 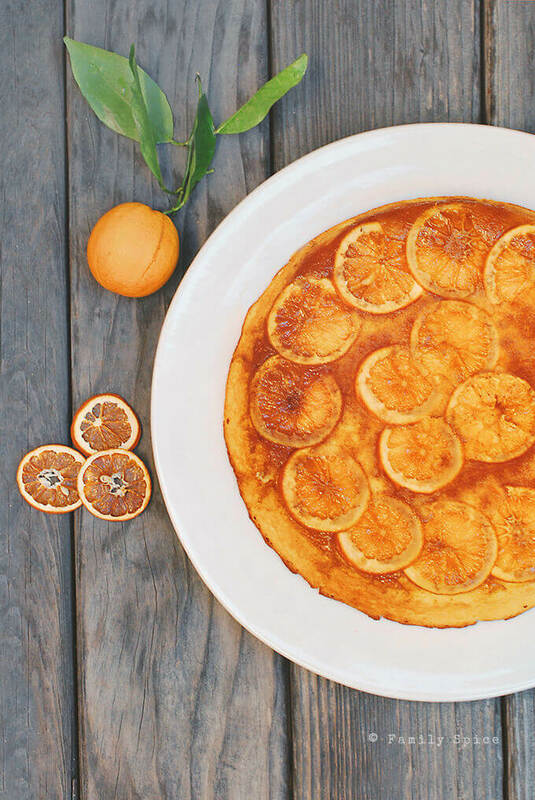 By using thin-skinned Valencia oranges, you don’t have to peel the oranges that are cooking and caramelizing on the bottom of the cast-iron skillet. This was super important to me. The fewer the steps, the better! You start with a hot cast iron pan, melting butter and browned sugar. Oh yeah, we are off to fabulous start! 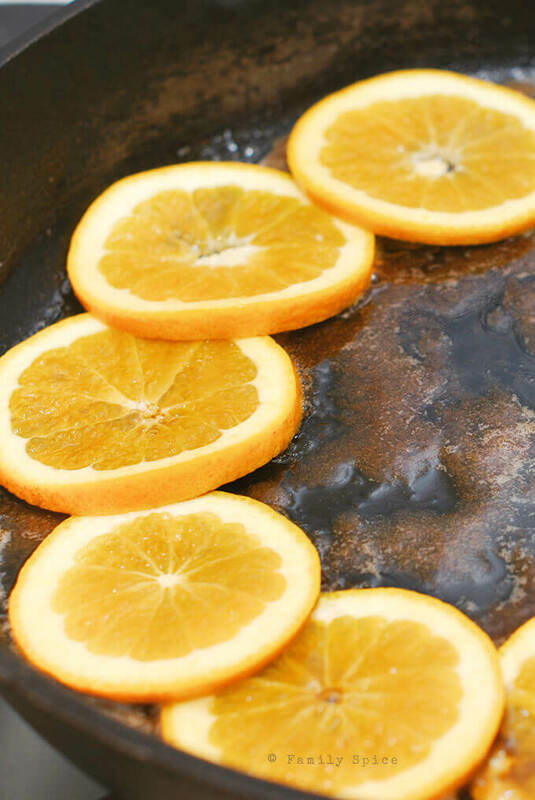 Layer in your slices of oranges as beautifully as you can with the smell of melted butter and sugar tinkling your senses. Then pour the orange scented cake batter over your buttery, sugary slices of orange goodness. Pop it in the oven to continue baking and try not to drool while your kitchen fills up with even more orange smells tantalizing you. The cake is light and fluffy and really bursting with orange flavor, from freshly squeezed orange juice (WITH pulp, thank you) and lots and lots of orange zest. The marmalade-like orange slices on top really finish that orange-love going around. No bitter taste, whatsoever. I can’t seem to get enough of this stuff! Arrange orange slices over the brown sugar into desired pattern and set aside. 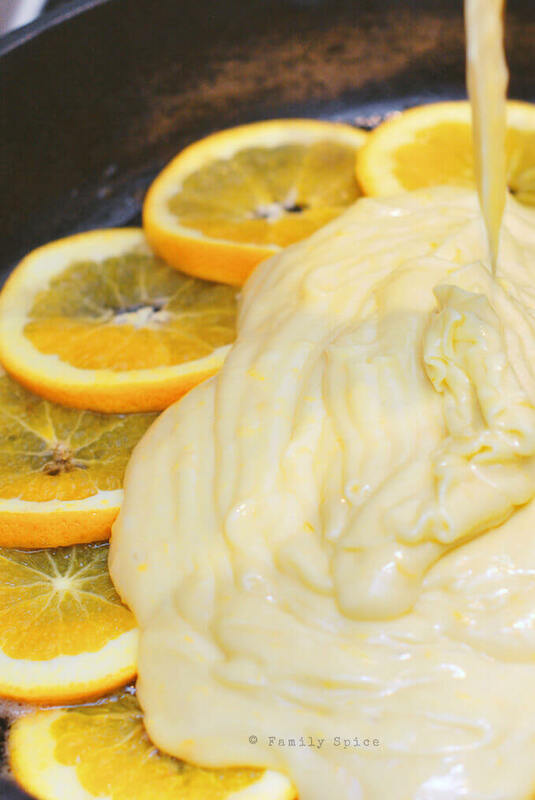 Pour cake batter evenly over the orange slices in your cast iron pan. What a beautiful cake. That orange is perfectly caramelized and I'm sure taste more than great! Omg this cake looks fabulous! I love the orange idea. Will have to try your recipe soon. 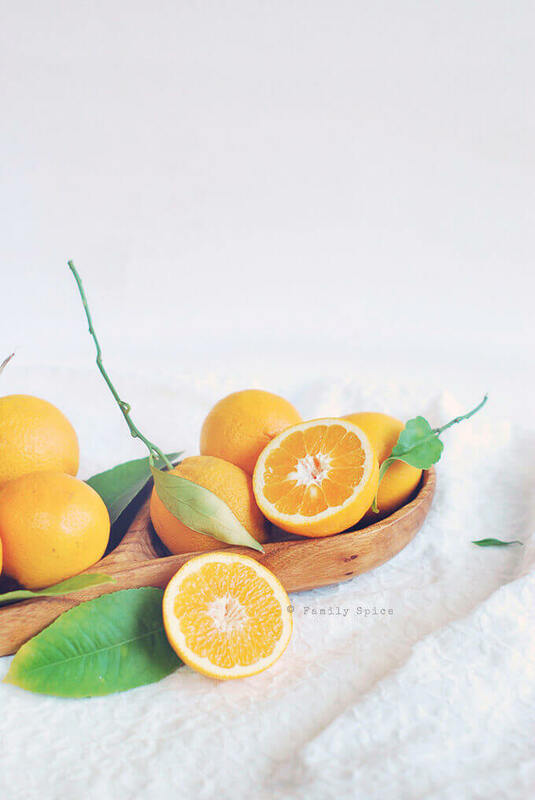 I love extracting the juice of Valencia oranges, among all varieties because I believe they are the juiciest. I am sure the exquisite citrus flavor will be shared with this cake after caramelization. Lovely recipe! Great post! Oh wow, this looks amazing…gorgeous cake! What a pretty upside down! Amazing clicks. Stunning cake! I LOVE orange in baked goods! Beautiful cake, and beautiful photography! Since we live ib central Florida, and it's the peak of orange season, it's nice to know that they aren't just for juice anymore. Absolutely stunning – your photos are incredible! Both your cake and photos are amazing!!! YUM! awesome!!! i simply cant take my eyes off the pic!! the cake must have been delicious!.. glad i dropped in your blog.. Such beuatiful space you have :)..